Dodge dealers want to attract the attention of their target audience in an effective and affordable manner. You have a limited amount of money to spend on your marketing efforts, but you need to produce the best possible results from your efforts. Historically, automotive dealers have relied upon marketing avenues like radio, television and newspaper ads to reach their local target audience. These continue to be used, but many are now taking a closer look at how automotive SEO for Dodge websites can be integrated with social media marketing to better reach their target audience in a cost effective way. Customer Scout SEO services are focused on serving Dodge dealers like you, and our highly skilled marketing team can help you to achieve the results you desire. Serving Dodge dealer from Denver to Boston, Portland, Charlotte, Las Vegas, San Diego, Seattle, Phoenix, Detroit and across the country. Increase Website SEO for Dodge Dealership l Customer Scout, INC. Many Dodge automotive dealers have a basic idea about how SEO works, but some have gray areas that need further explanation. With search engine optimization, your dealership will essentially select targeted keywords and phrases that your customers may use when in the market to purchase a new car. These may be words and phrases related directly to your own dealership, such as your dealer name or the makes and models that you sell on your lot. They may also be words and phrases that are selected when your target audience is comparing vehicles or has not yet decided on which vehicle to purchase. For example, you may want your website to rank highly when a local customer searches for an “affordable mid-sized sedan.” Customer Scout SEO will help you to gain a better understanding about the words and phrases that your customers may be searching for. Serving Dodge dealers across the country with proven results and award winning services! Dodge SEO is about more than just using your carefully selected keywords and phrases in your website’s text. We are serving Dodge dealers in the most effective manner possible by providing a full range of social media article services for you. 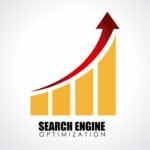 Search engine optimization can be applied to all of your online marketing efforts. This includes with press releases and articles as well as listings and even Facebook posts or other types of social media marketing. By placing your carefully selected keywords and phrases into all of your online marketing efforts and into your social media marketing efforts, your efforts can have an almost synergistic effect. Search engine algorithms are complicated, and they can be difficult to understand. However, these combined affords to incorporate Dodge SEO into all facets of your efforts can improve relevancy with search engines for better rankings. It can also help your target audience to find your information easier. Customer Scout SEO is well-suited to improve your local marketing efforts. Dodge dealers like you want to reach out to local automotive customers within your city or metropolitan area, but you also may want to reach out to others throughout the region. Some vehicle buyers will expand their search area in order to find a great deal on their next vehicle purchase, so search engine optimization efforts should be largely focused on the local and regional community. Customer Scout makes use of local search engine optimization efforts, including working with Google Plus, to give you amazing results. The ultimate goal is to ensure that your customers are able to find your information when they need it most. This may be when they are driving around in their vehicles from dealer to dealer in search of their next vehicle. The best marketing efforts today make use of mobile marketing solutions that are ideal for those on their smart phones. The best efforts also make use of focused keywords to target buyers at all stages of the buying process, including those who are still comparison shopping and who have not yet decided which vehicle to buy or if they want to purchase a Dodge. As you can see, there is a lot to know about local marketing and social media marketing in order to achieve the best results for your marketing dollar. Customer Scout is focused on serving Dodge dealers like you by providing you with these tailored services like automotive SEO for Dodge websites. We want to help you reach out to your target audience and to do so in the most cost-effective way. If you want to learn more about how our social media article services and local marketing services can benefit your dealership, we invite you to contact our office to set up a consultation with our team today. Whether your Dodge dealership is in Denver, Portland San Diego, San Diego, Las Vegas, Portland, Boston, Chicago, Charlotte or any major metro in the nation, Customer Scout SEO for Dodge dealers can increase traffic and sales!